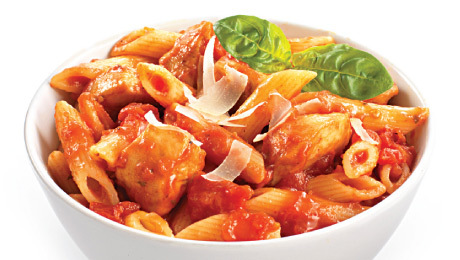 Use Erin Meal Time Chicken Parmesan & Sundried Tomato mix to make this delicious dish in 5 minutes. Brown chicken in a little oil. Add tomatoes, seasoning mix, and cold water (or stock). Stir constantly until well blended & simmer 3-5 minutes. Add 1 tablespoon of crème fraiche, cheese and pasta.